Nothing But ‘Net – Week #23 – 04/01/2013 – Final Four Bound! The (#10) University of Michigan men’s basketball team is going to the Final Four in the NCAA Tournament! It’s been 20 years (1992-1993) since UM made it to the Final Four, but they finally did it. Michigan, the #4 seed in the South Region, played two games in the tournament last week, both in Cowboys Stadium in Arlington (TX), and they won both of them. On Friday (03/29/2013), they beat the #1 seed, Kansas, 87-85 in overtime, then on Sunday (03/31/2013), they beat the #3 seed, Florida, 79-59. The two wins raise Michigan’s record to 30-7. After the tight, scary game vs. Kansas, we were expecting more of the same vs. Florida. Wrong. UM came out on fire, and got ahead 13-0 after just 3 minutes! The lead got as high as 24 points (41-17) in the 1st half, before sinking to “only” 17 points (47-30) at halftime. 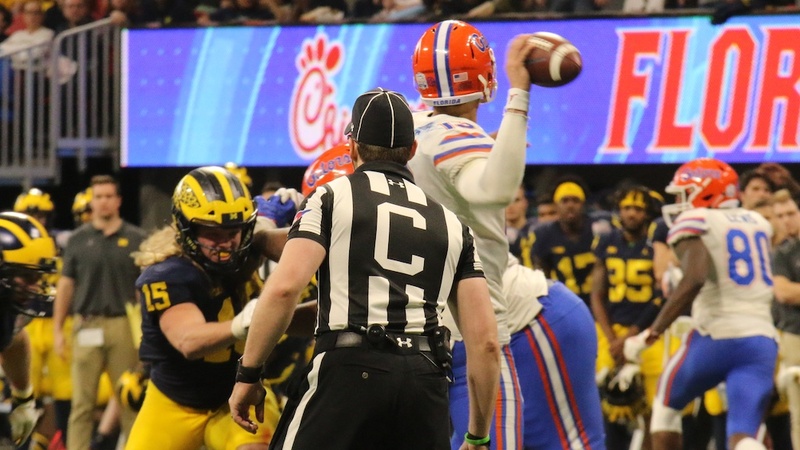 Florida staged a mini-rally (6-0) to get the lead back down to 11 points (47-36) in the first 2:30 of the 2nd half, but Michigan pushed the lead back up to 18 points (56-38) in the next 3 minutes, and never let it get below 14 points again. UM won going away, and it was an easy victory. 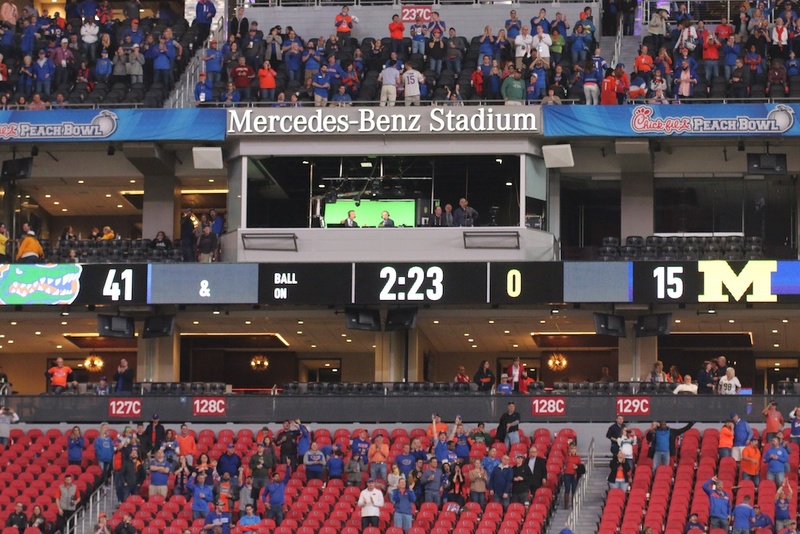 All 15 players got to play, and even the senior scrubs scored on Florida. It was lots of fun. Time for the stats, and they’re very interesting. In the Kansas game, Michigan shot pretty well overall (35-for-71 = 49.3%), and not too bad from 3-point range (8-for-23 = 34.8%). They shot pretty poorly from the free-throw line (9-for-17 = 52.9%), but they won the rebounding battle (38-35) and the turnover battle (10-13). Interestingly, Kansas shot better in all 3 phases of the game (overall: 36-for-66 = 54.5%, 3-pointers: 6-for-16 = 37.5%, free throws: 7-for-10 = 70.0%), but the extra possessions from rebounds and turnovers were enough to give UM the narrow victory. 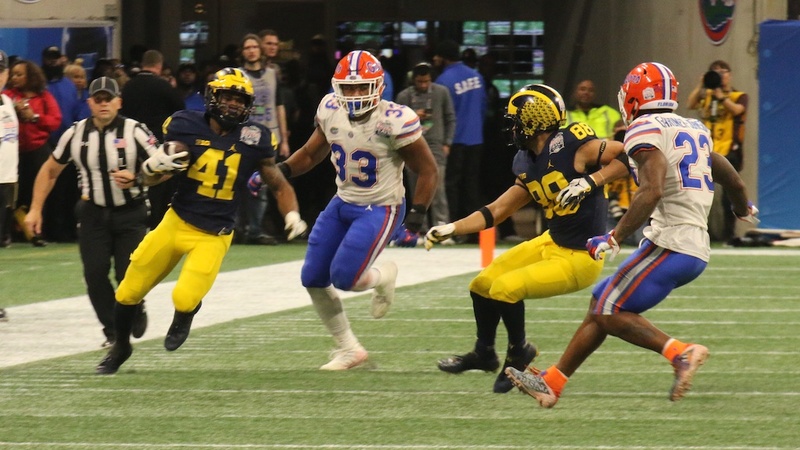 Michigan shot much better in the Florida game. Overall, they shot pretty well (30-for-65 = 46.2%), but they really shot well from 3-point range (10-for-19 = 52.6%). They shot free throws better (9-for-13 = 69.2%), but they narrowly lost the rebounding battle (35-36) and narrowly won the turnover battle (11-13). The big difference in this game was defense: they held Florida to 41.1% (23-for-56) overall shooting, and 20.0% (2-for-10) 3-point shooting. Trey Burke – 23 points vs. Kansas and 15 points vs. Florida. All of Trey’s points vs. Kansas came in the 2nd half and overtime; he was shut out in the 1st half. He also had 10 assists vs. Kansas, for a double-double. Mitch McGary – 25 and 11 points. Mitch continued his hot play in the NCAA Tournament. His 25 points vs. Kansas were another career-high, and he tied his career-high with 14 more rebounds vs. Kansas, for another double-double. 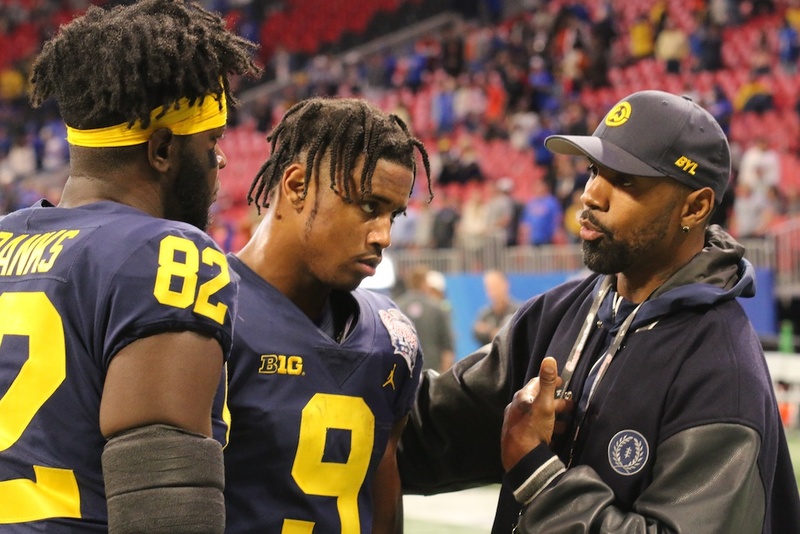 Trey may have been the star in Michigan’s big comeback in the Kansas game, but Mitch kept Michigan close enough for most of the game so that Trey could still pull the game out at the end. Nik Stauskas – 11 and 22 points. Nik managed to scratch out 11 points on 4-for-7 shooting in the Kansas game, but he went 1-for-4 shooting 3-pointers. Magically, he found his 3-point stroke in the Florida game, going 6-for-6. That was the Nik Stauskas performance we have been waiting for all season, and he picked the right time to do it. His 3-pointers destroyed Florida’s morale in the 1st half, and that made the victory easy. Tim Hardaway Jr. – 10 points and 9 points. Tim had a rough week shooting, going 4-for-11 vs. Kansas and 3-for-13 vs. Florida. He was 1-for-3 and 1-for-5 from 3-point range. It was ugly. Glenn Robinson III – 13 and 6 points. Eso Akunne – DNP and 0 points. Spike Albrecht – 3 and 7 points. Spike did a nice job giving Trey a rest, and he did pretty well when he and Trey were in the game together. He was a real spark in the Florida game, with 2 steals for layups and a nice 3-pointer. Josh Bartelstein – DNP and 0 points. Max Bielfeldt – DNP and 0 points. Jon Horford – 0 and 6 points. Jon scored his 6 points vs. Florida in only 8 minutes. Caris LeVert – 0 and 0 points. Blake McLimans – DNP and 0 points. Jordan Morgan – 2 and 0 points. Jordan played more minutes this week: 5 vs. Kansas and 6 vs. Florida. He looked more confident out there, and he was an asset on defense. Corey Person – DNP and 0 points. Matt Vogrich – DNP and 3 points. Matt hit a gorgeous 3-pointer in “garbage time” in the Florida game. It was sweet. Yay! More bench scoring: 21 points in 2 games. It was great to get contributions from Albrecht and Horford. Michigan still needs more from LeVert and Morgan. This is it: the Final Four of the NCAA Tournament. 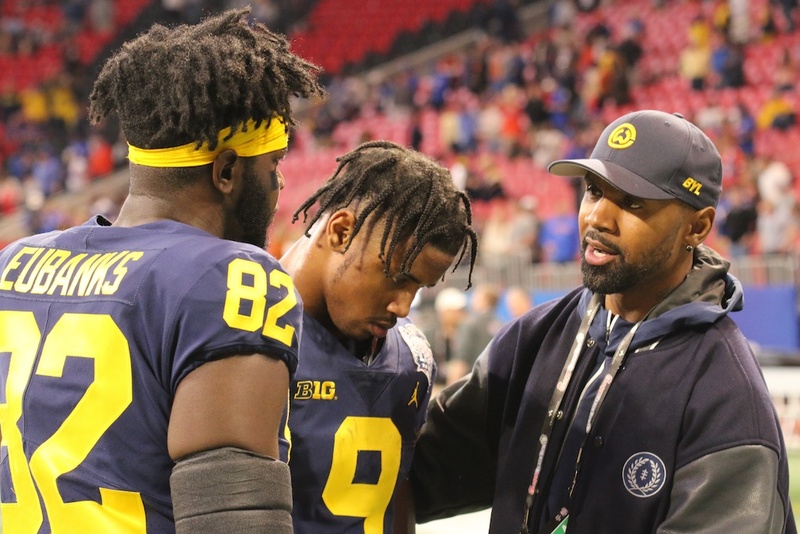 It’s a great honor for Michigan to have made it this far, and they have exceeded most people’s expectations, but there’s no reason they can’t win one or two more games. This week, there is only one game, since the National Semifinal games are played on Saturday (04/06/2013) and the National Championship game is next Monday (04/08/2013). Michigan plays the #4 seed from the East Region, Syracuse, on Saturday at 8:49 p.m. EDT on CBS, in the Georgia Dome in Atlanta (GA). If they win that game, they will play the winner of the (#1 Midwest) Louisville vs. (#9 West) Wichita State game. Once again, Michigan matches up pretty well against any of the other 3 teams in Atlanta. 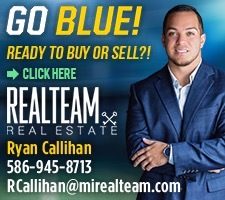 Certainly, Louisville is the favorite to win it all, but Michigan has the talent to beat them. If they keep playing at the high level they’ve shown through the first 4 games, they’ll do fine. 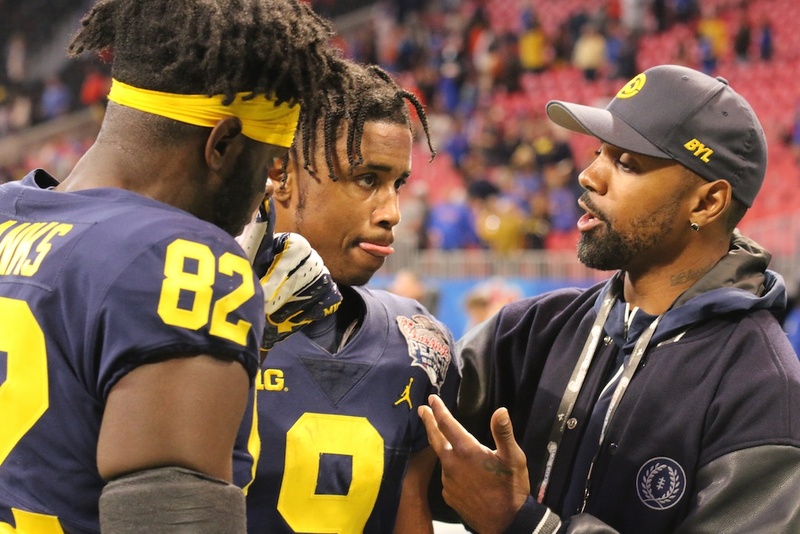 As I said several times in the last couple weeks, Michigan has the talent to win the whole tournament, and the youth and inexperience to lose to any team. We’ll just have to watch the games to see how they do. Nothing But ‘Net – Week #22 – 03/25/2013 – Sweet! The (#10) University of Michigan men’s basketball team is going to the Sweet Sixteen in the NCAA Tournament! It’s been 19 years (1993-1994) since UM made it past the first week in the Big Dance, but the long wait it finally over. 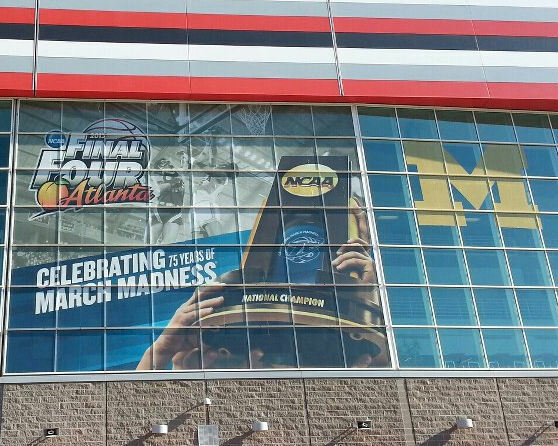 Michigan, the #4 seed in the South Region, played two games in the tournament last week, both in the Palace of Auburn Hills (MI), and they won both of them. On Thursday (03/21/2013), they beat the #13 seed, South Dakota State (SDSU), 71-56, then on Saturday (03/23/2013), they beat the #5 seed, Virginia Commonwealth (VCU), 78-53. The two wins raise Michigan’s record to 28-7. After last season’s embarrassing loss to Ohio University in the first game (2nd round) of the NCAA Tournament, Michigan wasn’t about to take any team lightly this season. On paper, SDSU looked like a prime candidate to upset UM in the first game. The game was close most of the way, with Michigan finally pulling away late in the 2nd half. Still, in a single-elimination tournament, any win is a good win. Survive and advance. The VCU game was much more interesting. VCU runs a kamikaze, all-out full-court press for the entire game, something they call “Havoc”. Remember the Arkansas game back in December, with their “40 Minutes Of Hell”? This was supposed to be much worse. VCU leads the nation in turnovers forced per possession, and Michigan leads the nation in fewest turnovers committed per possession. Something had to give. Guess which one? That’s right: Michigan had a few more turnovers than usual, but well below the average that VCU usually caused. Watching “Havoc” was interesting and kind of impressive, but Michigan handled it with poise and composure, and won the game decisively. They never let the press get to them, and they stayed focused and worked hard to bring the ball across mid-court under control every possession. It was very impressive. The downside to running a full-court press is that it’s hard to get back on defense once the other team breaks the press, and that’s exactly what happened in this game. Michigan broke the press most of the time, and got fairly easy baskets on many of those possessions. Even when they didn’t get a basket right off the press break, they had an easier time than usual in their half-court offense, since VCU had short, fast players in the lineup for “Havoc” purposes. These short, fast players were well-suited for pressing and stealing, but not for defending the post. So, that’s where Michigan attacked, and it worked. More about that below, in the individual player stats. First, let’s look at the team stats. In the SDSU game, Michigan shot pretty well overall (28-for-55 = 50.9%), and they shot well from 3-point range (9-for-20 = 45.0%). They didn’t shoot many free throws, but they hit a decent number of them (6-for-9 = 66.7%). They tied in the rebounding battle (29-29), and they won the turnover battle (9-12). The stats for the VCU game aren’t quite as impressive, but they’re not bad. Michigan’s overall shooting was good (31-for-60 = 51.7%), but their 3-point shooting was mediocre (6-for-20 = 30.0%). They didn’t shoot many free throws, but they made them count (10-for-11 = 90.9%). The big difference was rebounding, where UM won 41-24. Those 17 extra possessions really helped. UM lost the turnover battle, but just barely: 12-11. Tim Hardaway Jr. – 21 points vs. SDSU and 14 points vs. VCU. Tim also helped a lot bring the ball upcourt vs. “Havoc”, with only 1 turnover. Mitch McGary – 13 and 21 points. Here’s the first, and most interesting story of both games. Mitch started both games in place of Jordan Morgan, who was playing “out of sorts” in the last couple weeks. Not only did he start, but he played serious minutes in both games (25 and 34), and dominated the post in both games. He had 9 rebounds vs. SDSU, just missing a “double double”, and career-high 14 rebounds vs. VCU. His 21 points in the VCU game were also a new career-high. Mitch was unstoppable in the VCU game, especially against the shorter “Havoc” players. Glenn Robinson III – 21 and 14 points. Here’s another interesting story. After having a few “quiet” games at the end of the regular season, especially in the Big Ten Tournament (5 and 8 points), Glenn had a monster game vs. SDSU, and followed it up with another solid game vs. VCU. Trey Burke – 6 and 18 points. Here’s another interesting story. Trey had hit double figures in every game this season, until the SDSU game. He got his shots vs. SDSU, but he just couldn’t hit them: he was 2-for-12 (0-for-5 from 3-point range). But wait, there’s more: Trey had 7 assists in the VCU game, which gave him 236 for the season, which breaks the previous school record (Darius Morris – 235 – 2010-2011). Nik Stauskas – 8 and 8 points. Nik had a miserable time shooting 3-pointers: 1-for-4 vs. SDSU and 0-for-4 vs. VCU. Spike Albrecht – 0 and 3 points. Jon Horford – 2 and 0 points. Matt Vogrich – DNP and 0 points. That’s 5 points of bench scoring, which is miserable. Michigan needs much more bench scoring to keep winning the tournament, especially from Albrecht, Horford, LeVert, and Morgan. The NCAA Tournament (bracket) rolls on this week, and Michigan is still alive. They are in the Sweet Sixteen, and they play their next game(s) in Cowboys Stadium in Arlington, TX. On Friday (03/29/2013, 7:37 p.m. EDT, TBS) they play (#1 seed) Kansas. If they win that game, they play again on Sunday (03/31/2013) against the winner of the (#3) Florida vs. (#15) Florida Gulf Coast game. The Sunday game would be for a spot in the Final Four. Michigan actually matches up pretty well against any of the other 3 teams in Arlington. The games will certainly be tough and tense, but if Michigan plays at the level they showed us last week in Auburn Hills, they’ll do fine. As I said several times in the last couple weeks, Michigan has the talent to win the whole tournament, and the youth and inexperience to lose to any team. We’ll just have to watch the games to see how they do.